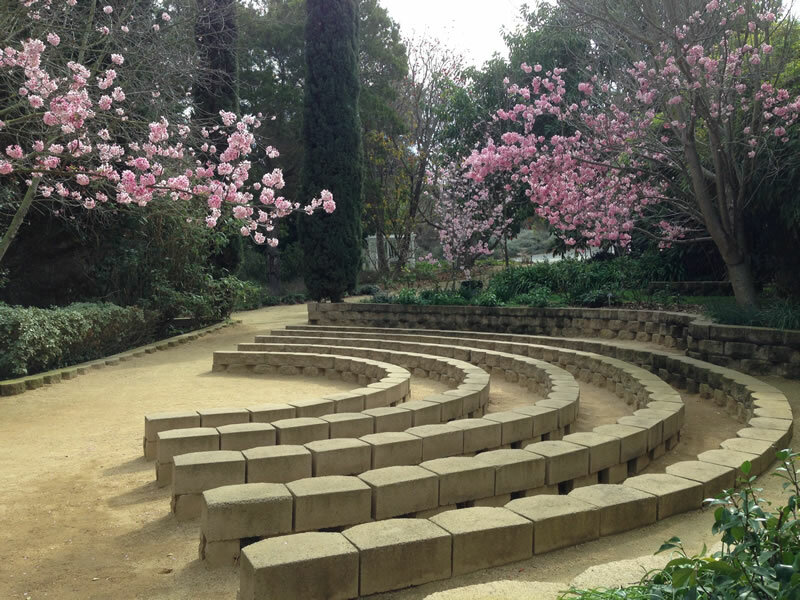 Just a short stroll from the main entrance, and through a tree-lined clearing, you will find the charming Amphitheater. 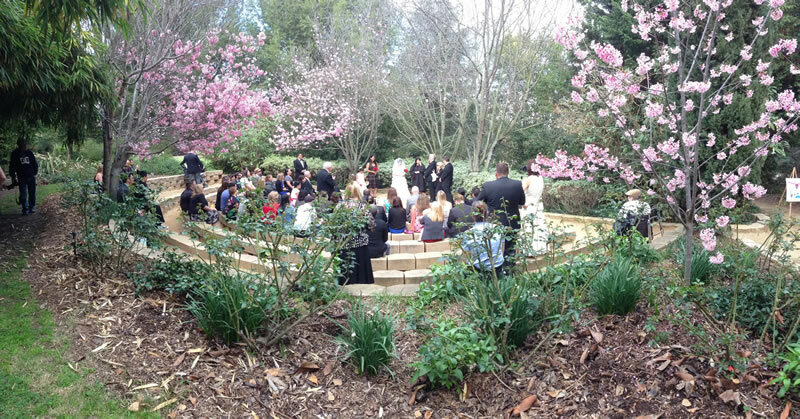 The venue easily conjures images from A Midsummer Night’s Dream, situated in a woodland habitat and surrounded by blossoming white camellias, dripping cherry blossoms and a lush tree cover that delivers just the right amount of shade. The interplay of shade and sunbeams provides optimal photographic opportunities with butterflies and hummingbirds photobombing at will. 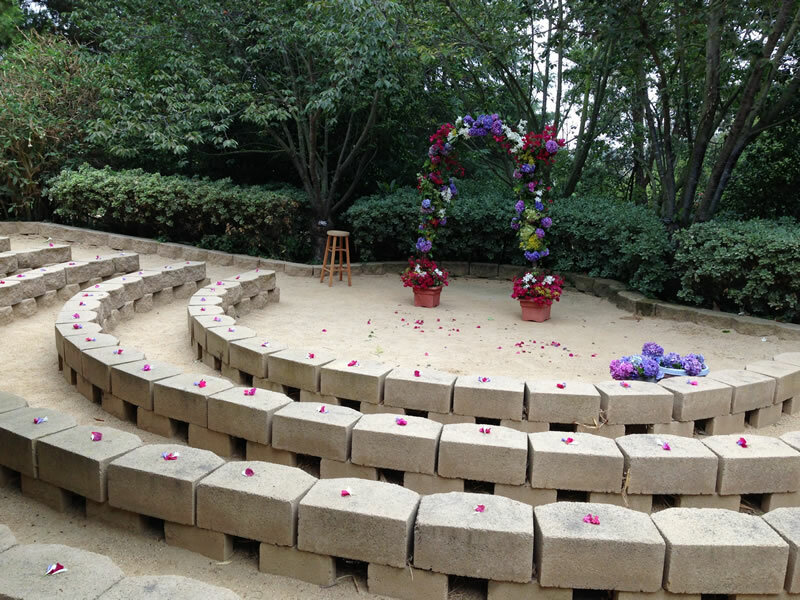 Rustic built-in stone seating can accommodate up to 150 guests for a performance, ceremony or celebration of life event.